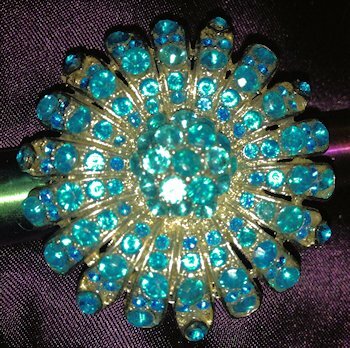 Not for the faint of heart, a gorgeous flower statement ring in vibrant turquoise rhinestones. This is a BIG design, and meant to be worn on your index or middle finger. Brand new and never worn! I have the same design in royal purple available as well. One available.